Tag-Archive for "Plantation Guadeloupe Old Reserve 1998 Rum"
Despite the complete lack of a tropical climate, it’s clear that London has an important role in the international Rum scene; what with it playing host to RumFest every year; having several great rum bars and during 2011, it’s been home to 3 different Rum Clubs. For several years now, Notting Hill’s Trailer Happiness has been the home to the London Rum Club and while it may not always have been as regular a fixture on the calendar as it should have been, for several months now it has without fail taken place every 1st Monday of the month. 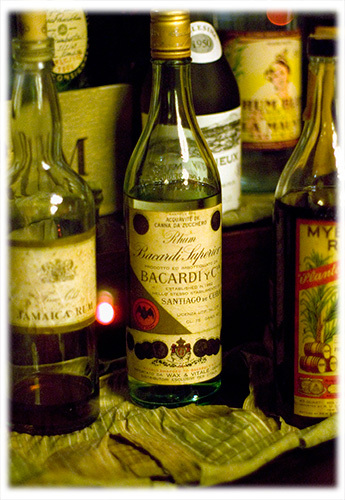 It is well supported by the rum trade, the bar and it’s staff and of course the regular Rum Club enthusiasts. Then this July we found a new Rum Club raising its head above the parapet, at the City of London’s Tiki bar: Kanaloa. However, despite a promising start, it appears that it wasn’t mean to be. Maybe it was the format of “once every two weeks” being too much for London’s Rum Aficionado’s; maybe it was slightly sporadic nature of which evening of the week it took place on; maybe it didn’t help that on the night it managed to clash with the London Rum Club, London also happened to go up in flames with the riots this summer or maybe it was just a bit too similar to the London Rum Club. Maybe it was all of those reasons or none of them, but what is fair to say is that following the departure of then Head Bar Manager – Stuart Hudson, priorities at the bar appeared to change. Now with Tiki Bar Tender Jamie Kimber due to depart for Lab Bar this weekend, I think it’s fair to say that August’s Kanaloa Rum Club featuring Ron Diplomático was the last Rum Club to be held at this great Tiki bar and that it’s unlikely that we’ll see another Rum Club held at Kanaloa anytime soon. What then of London’s third Rum Club. One that I heard about as a whispered rumour. A Rum Club mentioned in quite conversations, as it was thought to be so rare and so limited in available places that those few who knew about it, were concerned that by telling too many people about it, that they themselves would miss out. One that dared to be a bit different and maybe a little bit special. Special enough that even I was concerned that by writing about it, I’d either miss out on a place or maybe it would become too crowded and change the atmosphere. 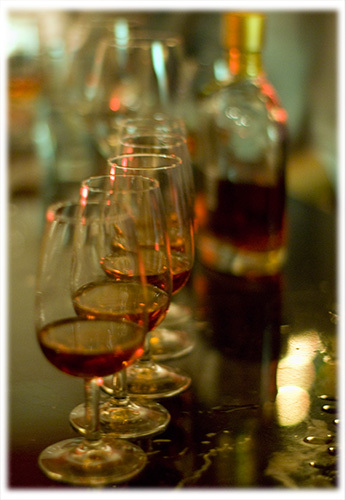 So enter the Floridita Rare Rum Club, held on the last Thursday of each month. The brain-child of the bar’s Head Bar Manager, Richard Woods. Generally recognised as one of the more influential people in the Rum trade and having one of the largest collections of rare rums in the world, it’s fair to say that Richard knows and loves his Rum. And as far as I’m concerned, it has so far succeded. Since attending my first Rare Rum Club in July I’ve tried Plantation Guadeloupe Old Reserve 1998 Rum, El Dorado 25 Year Old Rum, Mount Gay Rum 1703 Old Cask Selection and on the one evening that I couldn’t make it, they had Bacardi Reserva Limitada. Each of these is clearly rare and special and some of them have been extremely premium. Although the format has changed slightly since its inception, the principal of enjoying rare and premium rums hasn’t. Having changed to being a paid for event, the evening now includes a sharing platter of food for the group, a rum cocktail each, access to the bar’s live music and of course the tasting. Currently, numbers are somewhat more intimate than say the London Rum Club and in fact they always be will limited. But as Richard has pointed out, this is how he wants the evening to be, as it gives everyone who attends the chance to have a proper taste of these great rums. So following a Daiquiri (or two) and some great tapas, the evening of Thursday 27th October 2011 found a small group of us sitting down with Richard to talk about and taste the contents of a bottle of Mount Gay Rum 1703 Old Cask Selection. Everything about this Bajan rum shouts quality, from the simple elegance of the bottle design to the weight and feel of the bottle stop. Of course the packaging is just that, so what of the contents? Well, 1703 Old Cask Selection is a Blend of aged Mount Gay Rum from the reserves of the Master Blender. These rums would have been fermented in wooden vats for 72 hours and then distilled in either a double distilled pot still or a copper Coffey column still, before being aged in ex American whiskey barrels. During the aging process, the Master Blender will decide that some barrels are just right, for setting aside and they’ll be aged for a longer-than-normal period of time. With these older barrels, they can then marry the rum with other younger or older rums to create specific blends or to help balance the expected taste of their normal production rums, such as the Eclipse or the Extra Old. And it is from these older barrels that the blend of pot and column, aged between 10 and 30 years old, that 1703 Old Cask Selection comes from. 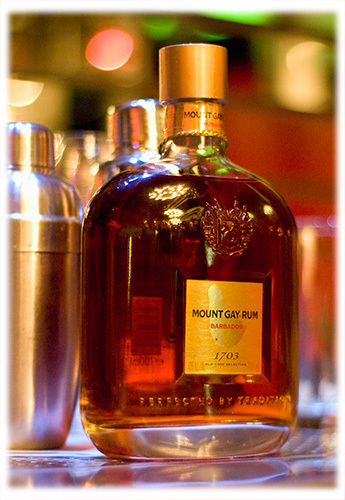 Like the younger Mount Gay Rum Extra Old it is bottled at a slightly higher 43% ABV / 86 Proof. It is a rich and complex rum, with notes of spiced fruits, banana, caramel and leather. Of course with a blend of rums up to 30 years old, it also has a richness of oak, but not so overpowering that it would detract from the enjoyment and taste. It has a warm, smooth start, with a slightly spicy finish and is every bit the luxurious expression of quality rum from Barbados. An unexpected finish to the evening off came about when Richard then introduced us to another special rum from his collection. One that due to international trade mark issues you will generally not see outside of Miami. Following the Cuban Revolution in 1959, the Havana Club distillery and company was nationalized and as such its original creator, José Arechabala, left Cuba and headed to the United States, taking the original recipe for Havana Club Rum with him. Today that recipe is owned by Bacardi and is currently produced for the US market only, in Puerto Rico, as Havana Club Brand. 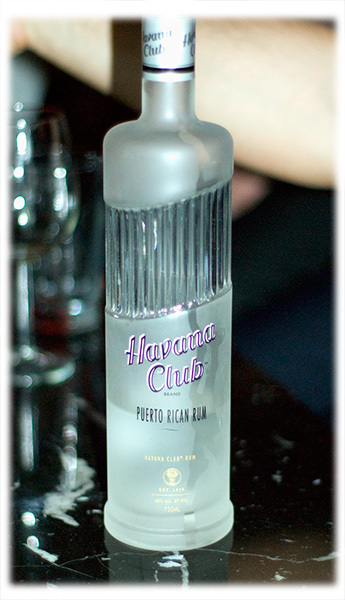 Distinctly different from either Bacardi Superior or todays Cuban Havana Club Añejo Blanco, this is an excellent pouring rum that among many things, makes for a great Daiquiri. Expect to find a white rum, with enough complexity to make it enjoyable to sip, while remaining light enough to mix in many a cocktail. If you are lucky enough to spot a bottle of this on your travels, I highly recommend you pick one up. So what next for the Rare Rum Club, well I’ve been advised by Richard that there won’t be any more Rare Rum Club’s held this year as the end of November will be too busy for Floridita, with Christmas bookings and that the last Thursday of December may well find the bar closed for the evening. So all being well, the Rare Rum Club will be back at the end of January, bringing in the new year with another special rum. More news on that as and when it’s available. So my thanks to Richard and the bar team at Floridita for continuing to offer another great event on the London Rum scene and I look forward to many more. Also expect to see write ups in the future for both the El Dorado 25 Year Old and the Plantation Guadeloupe Old Reserve 1998 Rum. For those interested in learning more about the Rare Rum Club, please either visit the Floridita Website or email Hannah Sakellariou at hannahs@danddlondon.com for more details.